Nice. Fancy coffin. Perfect Halloween cigar! 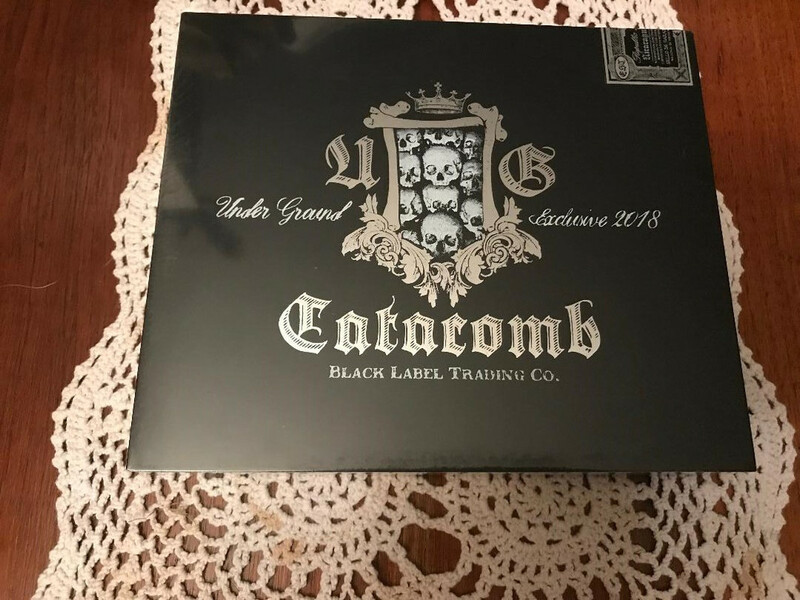 Can't go wrong with LFD or a Black Label cigar. Tasty stuff. 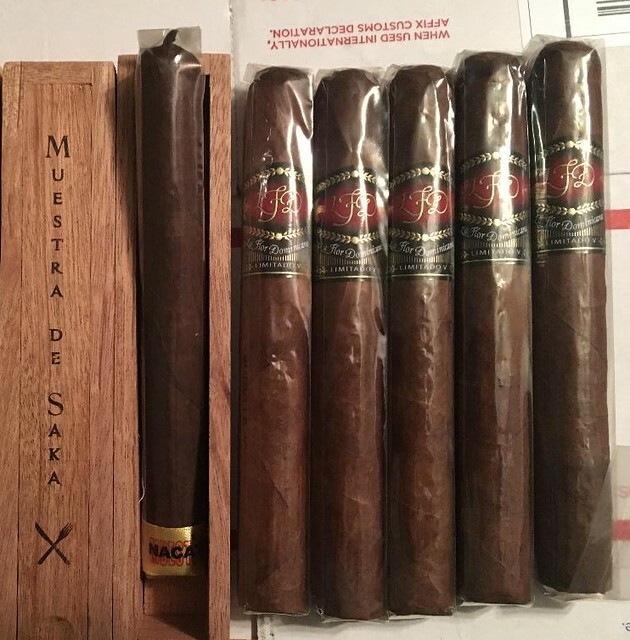 A few 5ers arrived today. Nice! Share your thoughts on the Santa Muerte. 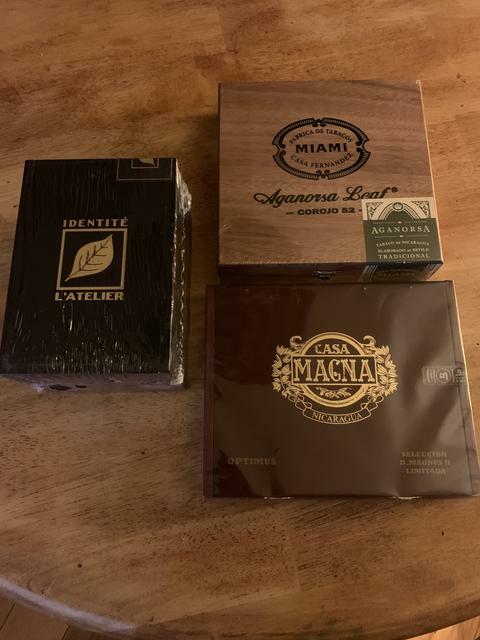 I didn’t pull the trigger because I already had cigars incoming and more so those had to be dropped but they do sound tasty! 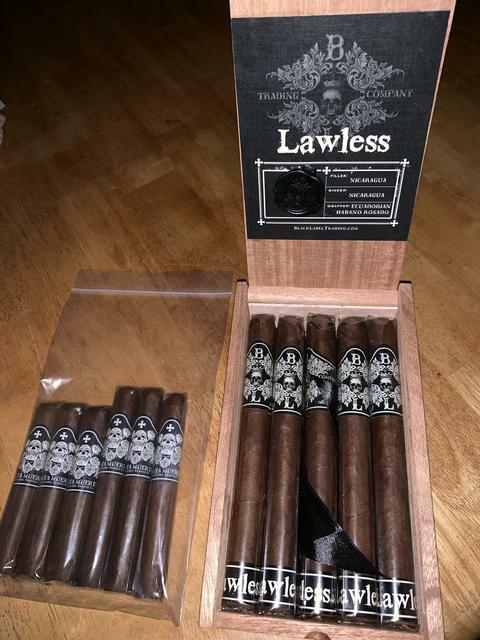 Black Friday deal on Atlantic so six Santa Muerte and a box of Black Label Trading Co Lawless. Damn Dave you're defiantly setting the tone! 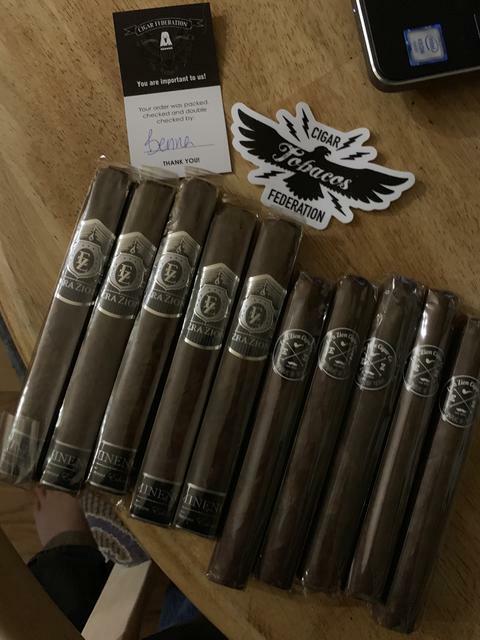 Took delivery of a few fivers from Cigar Federation. 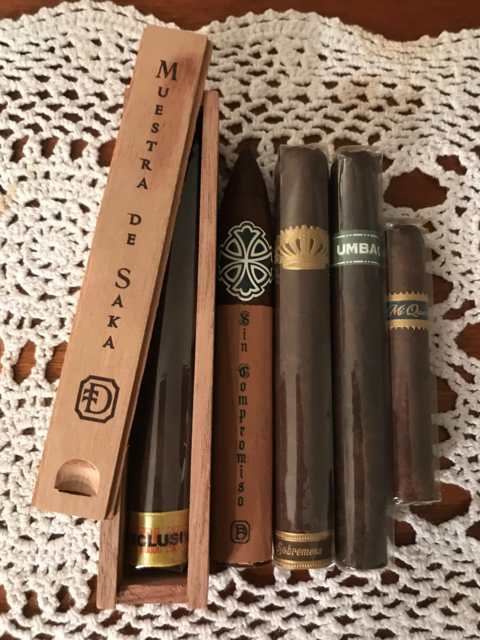 BLTC sampler, Santa Muerte and Viaje Exclusivo Leaded. My first go at BLTC but they look amazing. I also picked up a couple of Anejo's from my local B&M and got a fiver of Operators and 2 blue lines from 4 Tour Farm. Didn't take pics of those though. Trying to make a big comeback! Ooohhhhh those are nice pick up!!!!! 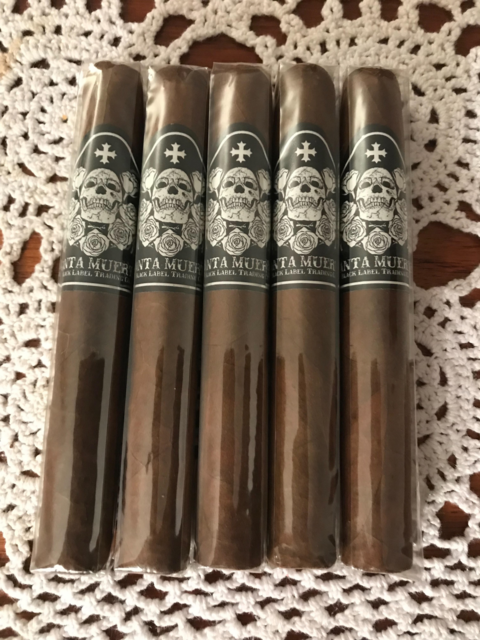 Had my first Muerte about three weeks ago and they are great!!! As far as BLTC goes, I’ve been stuck in a rut on the Maduros and haven’t tried their other stuff hah. Good idea on a sampler. and got a fiver of Operators and 2 blue lines from 4 Tour Farm. Didn't take pics of those though. Trying to make a big comeback! Have not had the Blue Line, but enjoy the Operators... Which size shape? I have had a few of the Torps... Tasty smoke. The operators I picked up are robusto, but that's a little misleading. Their size is more in the neighborhood of Churchill's. The blue lines are robusto sized. Probably 5 and some change in. by 50 or 52 rg. They're wrapped in tissue paper, so that's a rough estimate. Gonna let them rest for a minute before I try one. 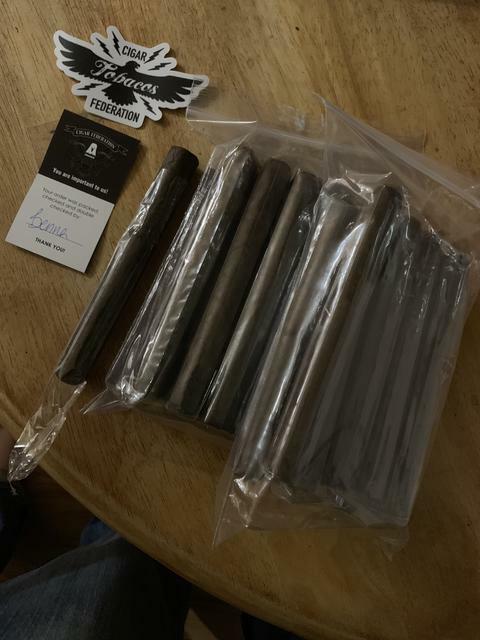 No idea how long they were in shipping, as I received them before I got a tracking number and they weren't shipped with a boveda pack. They were kind enough to send a freebie with my order too. Its unbanded and probably 6x60. 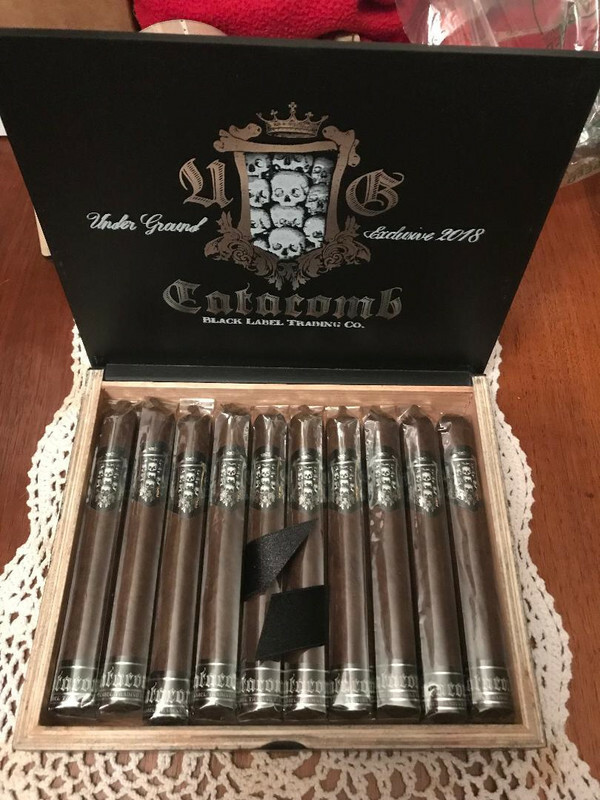 Black Label Trading Company Catacomb Toros These are a store exclusive for Underground Cigars. Excellent sticks.